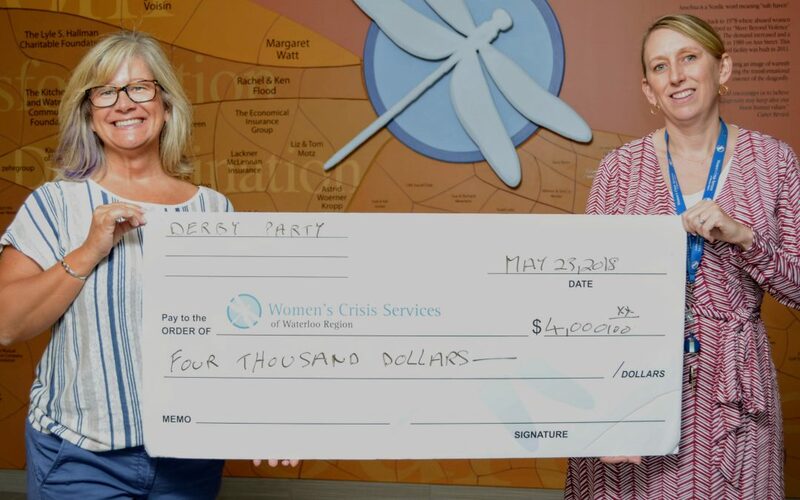 WINNERS TO US: Christine Conrad hosted a Kentucky Derby fundraising party in May 2018, donating the proceeds to Women’s Crisis Services. Thanks Christine and your generous friends! (L) Christine Conrad (R) Jennifer Hutton, CEO.